UPDATE: We regret to inform you that due to illness the concert “Celebrating Dilys Elwyn Edwards” on Friday 1st March will no longer go ahead. Unfortunately, Elin Manahan Thomas is unable to sing due to a severe chest infection. We are pleased to be able to announce however that the concert has been rescheduled and will now take place on Saturday 27th April at 7.30pm. We are in the process of contacting customers to share this information. Tickets will be automatically transferred to the new date. If the date is no longer convenient, customers will be entitled to a refund and should contact the Box Office on 01248 38 28 28. A celebration of an acclaimed composer by some of the biggest names in Welsh culture will take place on Friday, 1st March at Pontio, Bangor. 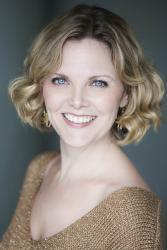 Taking part in the evening of poetry and song at Theatr Bryn Terfel will be the soprano Elin Manahan Thomas and the National Poet of Wales, Ifor ap Glyn, as well as Bangor University Chamber Choir. An arrangement of a specially-commissioned sonnet will be performed by Elin for the first time on the evening as a tribute to Dilys Elwyn-Edwards, composed by Ifor ap Glyn and set to music by Geraint Lewis. 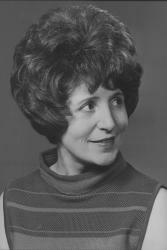 Born in Dolgellau, Dilys Elwyn-Edwards studied the craft of composition alongside the English composer Herbert Howells, before spending most of her life in Caernarfon, where she produced a small collection of intricate vocal compositions. Amongst these were ‘Caneuon Gwynedd’ (Gwynedd Songs) and Caneuon y Tri Aderyn (Songs of the Three Birds), all arrangements of poems by some of Wales’ foremost poets, including R. Williams Parry, T. Gwyn Jones, Dic Jones, Gwyn Thomas and Saunders Lewis. Composer Dilys Elwyn-Edwards is the focus for a St David's Day Concert.“Dilys Elwyn-Edwards and her songs have been with me since I can remember: 6 Chân i Blant (6 Songs for Children) and Caneuon y Tri Aderyn (Songs of the Three Birds) attracted me to her, and then somehow she was always there. As a young singer settling in Felinheli at the beginning of the nineties, the pleasure of getting to know her, and then the honour of her composing ‘Dwy Gân i Fair (Two Songs for Mary) especially for me, is something I will treasure forever. It’s a pleasure to invite one that possesses a light, flexible and beautiful voice, the soprano Elin Manahan Thomas, to perform a selection of her songs here in Theatr Bryn Terfel. The concert will focus not only on the songs, but also on the poems set to music by Dilys Elwyn-Edwards, her choice of poets and her talent in creating such evocative images and atmosphere throughout her work. To this end, Ifor ap Glyn will read one of Cerddi’r Tymhorau (Poems of the Seasons), Dywed Fair (Tell Me Mary), Caneuon Natur (Nature’s Songs), Caneuon y Tri Aderyn (Songs of the Three Birds) and others, and tell a few stories about the poets she set to music, and her relationship with them. Closing the evening will be a performance of the sonnet in tribute to Dilys Elwyn-Edwards, arranged by a close friend, Geraint Lewis. 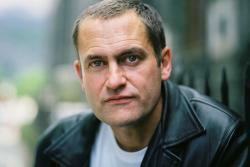 Elen ap Robert added, “As it happens, the sonnet that gave her the greatest difficulty was Hiraeth y National Poet of Wales, Ifor ap Glyn will also be performing. : Image credit & copyright Dewi Jones.co.ukMôr (The Longing of the Sea), which of course became one of her most well-known songs. It’s fitting therefore that we commissioned Ifor ap Glyn to write in this form to remember Dilys. It’s also fitting that a very close friend of hers, Geraint Lewis, provided the music for these words – and that the song is performed by a soprano who only last year released a selection of her songs on CD. “We look forward to this very special event as a tribute to a unique and very talented woman on St David’s Day. We owe a big debt of gratitude to her as a generation of Welsh singers, and now it’s time for the next generation to experience the same delight and be enchanted by Dilys Elwyn-Edwards’ talent.